As part of our biodiversity plan, we decided to make bird feeders for the courtyard and the area near the vegetable patch. We made cheerio bird feeders using pipe cleaners. Using the pipe cleaners, we tried to make a shape and managed to make a few hearts and figures of 8. On Friday 6th May Year 1 went to Woburn Safari Park! We drove around the park in the coach and saw lots of animals such as lions and zebras. We also watched a sea lion show and touched a snake! 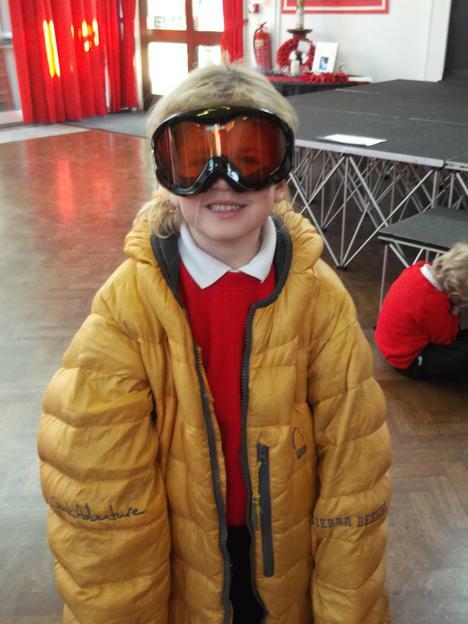 We had lots of fun performing our class assembly about the African rainforest. We told the story of three trees, their animals and how important it is to look after our planet. Today Mrs Callaghan talked to us about her visit to Zambia. 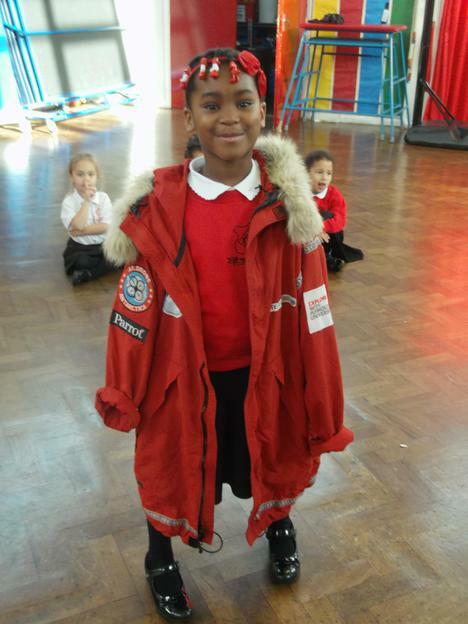 She brought in items that she had bought and received from the people in Zambia. 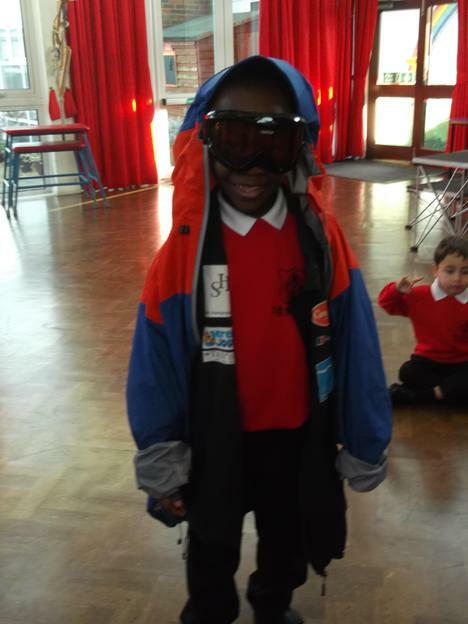 We had great fun trying the clothes on and holding the objects. She also showed us videos of the people in Zambia talking about their lives. Year 1 went to the courtyard to explore the Stations of the Cross. We went to each picture and talked about what was happening. 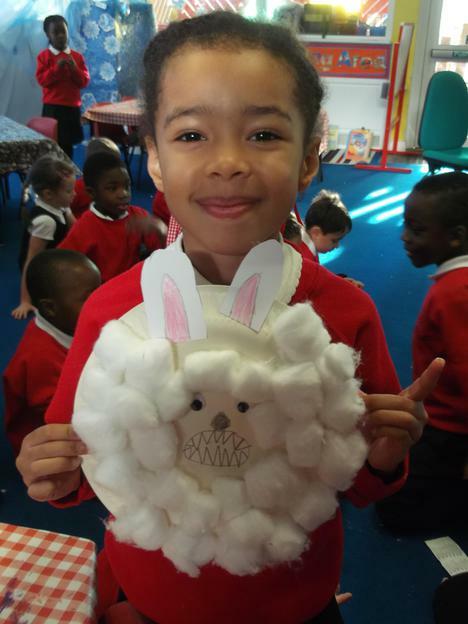 When we came back to class we looked at all the artefacts from the Easter story. We talked about each artefact and talked about how Jesus would feel. In Design and Technology we learnt how to make ice sculptures! 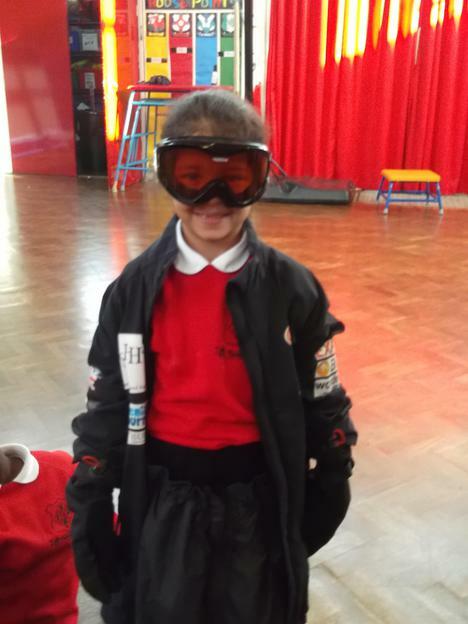 Firstly we learnt about Don Chapelle and looked at some of the ice sculptures that he created. 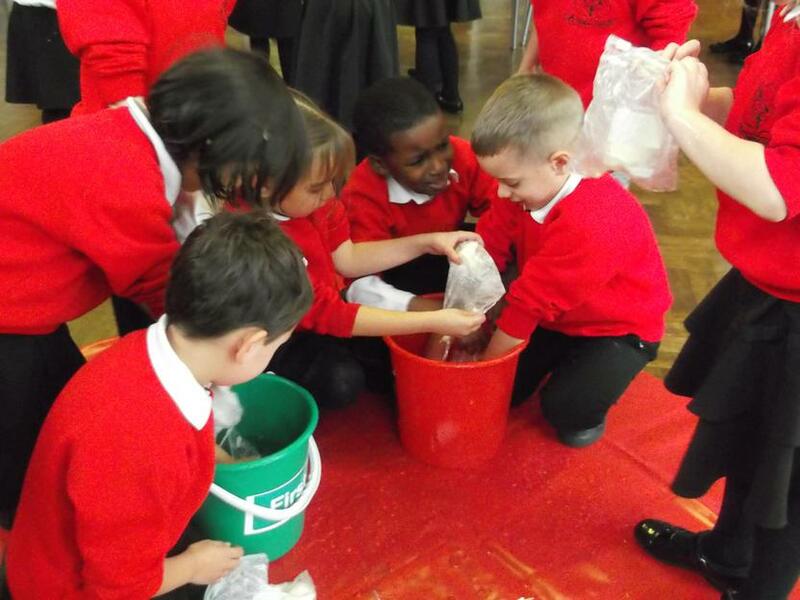 We then made our own using different food colouring and freezing different materials inside the ice. 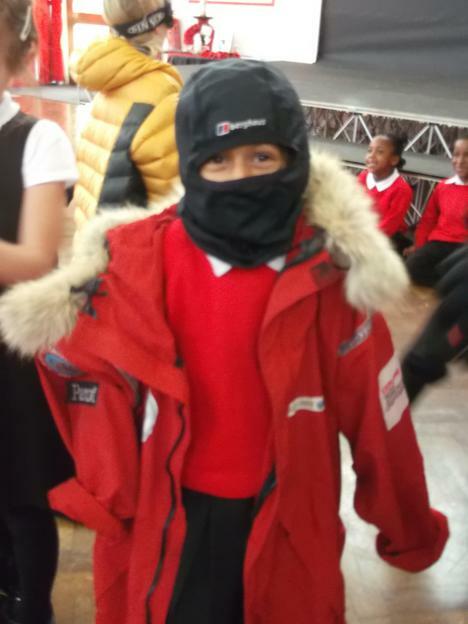 Today a Polar Explorer came to visit us! 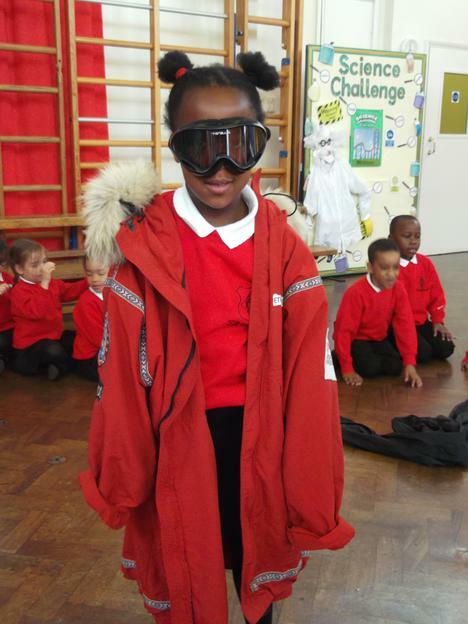 We tried on the clothes that you would have to wear if you went to Polar Regions, they were very heavy. We then learnt about blubber and experimented with lard to see what blubber was like. It was a great day. Last week we enjoyed our first camping experience! 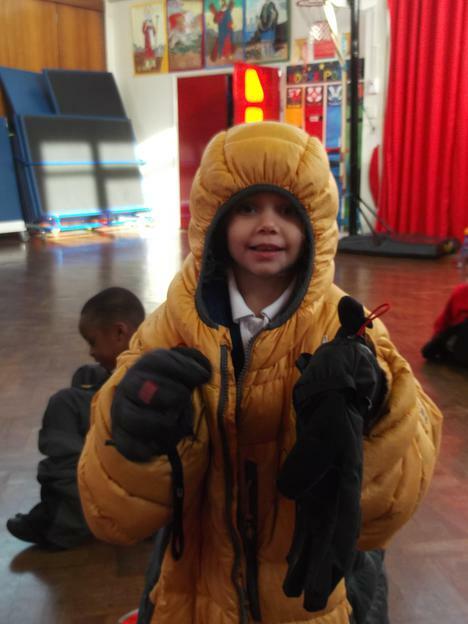 We made a list of all items we would need and then took them outside. We played games, went inside the tent and then sang songs whilst drinking hot chocolate and eating marshmallows! 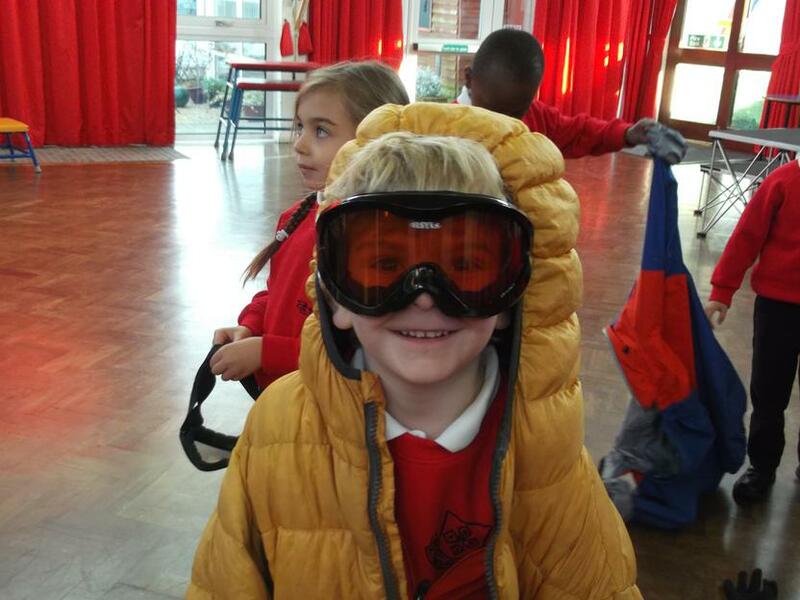 Year 1 had a fantastic time on their trip to Wendover Woods. We made dens using sticks and explored the Superworm trail. We were so excited when we discovered the Gruffalo at the end! We had a great time and were very tired after all that walking.